OAKtober — also known as Oak Awareness Month — is a chance for Kane County residents, organizations, communities, park districts, forest preserve districts, private landowners and managers, and commercial entities to celebrate our oak woodlands. “Oaktober is a perfect opportunity to bring awareness to the value of oak trees in our landscape,” said Karen Ann Miller, executive planner for the Kane County Development and Community Services Department and co-chair of the Chicago Region Trees Initiative Trees & Green Infrastructure Work Group. Dozens of oak-related events are occurring in Kane County and across the state of Illinois this fall to boost awareness for the beauty, utility, and needs of our oak ecosystems. 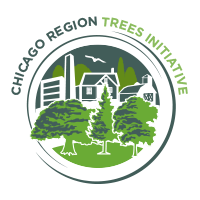 Click here to see the full list from the Chicago Region Trees Initiative. The Forest Preserve District of Kane County has a ton of events this month. Click on this link to the Tree Line Newsletter to see them all. Oct. 15 — Fall Tree Identification – This class for adults will cover the basics of tree identification. We’ll look at tree morphology, habitat and ecology. Students will learn several methods of tree i.d., including the use of field guides, hand lenses and bincoculars. The program will take place on the trail, so dress for the weather. Advance registration is required. Call (630) 444-3190 or e-mail programs@kaneforest.com. Co-sponsored with the St. Charles Park District and the Geneva Park District. Oct. 22 — Kane County Big Tree Tours — Join a guided hike to see some of the biggest trees in Kane County. On each tour in this series, you will visit the sites of some of Kane County’s local champions in the Kane County Big Tree Program. You’ll see huge oak trees, fine specimens of old hickory and elm trees – and some surprising species of trees as well! During the walk, they’ll do a little tree identification and show you how trees are measured in the Big Tree Program. RSVP to Brittany Kovachat kovachbrittany@kaneforest.com. 10 a.m. at 1644 S. River St., Batavia, Illinois 60510. Oct. 15, 22, 29 — Fall Tree Walk at The Morton Arboretum — Delight in the changing seasons during this educational walk among the Arboretum’s trees. Breathe in that fresh autumn air as you stroll the trails with a naturalist. Learn facts about trees and the changes they undergo as cold weather begins to arrive. Oct. 20 — The incredible, edible … OAK! at the Forest Preserves of Cook County— Sure, you may have seen squirrels running around with acorns in their mouths, but did you know people have been using acorns as a food source for millennia? Acorns are not the only part of the oak that have been traditionally useful to people either. Oak leaves, bark, and roots have been vital to treat a variety of ailments from dysentery to tuberculosis. Wood from this species has been historically renowned for building sturdy structures and aging a variety of alcohol. In this tribute to all the benefits of oaks, we will learn about their medicinal properties and sample some of the culinary treats they offer. Instructors Kim Blaszczak and Lindsay Ivanyi. Oct. 22 — OAKtober Hike — FREE guided tour of Burr Oak Valley Preserve, a private natural area owned by Natural Land Institute in Roscoe, Illinois. NLI’s Director of Stewardship Zach Grycan, and Restoration Ecologist Ed Cope, will lead the hike through the rolling hills and oak savannas of Burr Oak Valley Preserve and talk about the ongoing restoration work, general differences between red and white oak trees and their environmental benefits. Call 815/964-6666 or email info@naturalland.org to RSVP. Oak ecosystems have been a significant part of the Illinois landscape for more than 5,000 years and are now in a state of threat and decline across the entire atate of Illinois. Oaks represent strength and stature. In fact, the white oak is the Illinois State Tree. Majestic oaks create a sense of awe and wonder. These trees work for us by cleaning our air and water, reducing ambient air temperature and usage of energy. They reduce flooding and support our native wildlife. Our oaks and trees in general, improve our well-being and support a sense of community. That’s why, for the second year in a row, Illinois Gov. Bruce Rauner signed a proclamation designating October 2016, “OAKtober — Oak Awareness Month” in Illinois.